Jason Nedecky is a baritone and diction coach based in Toronto. He has appeared as soloist with numerous Canadian ensembles, including the National Arts Centre Orchestra (Ottawa), the Manitoba Chamber Orchestra, the Toronto Philharmonia, the Toronto Consort, the Toronto Chamber Choir, the Aldeburgh Connection Recital Series (Toronto), the International Bach Festival Toronto, Talisker Players (Toronto), Off Centre Music Salon (Toronto), the Brantford Symphony Orchestra, the Bach-Elgar Choir (Hamilton), the Guelph Chamber Choir, the Mississauga Choral Society, Chorus Niagara, Musik Barock (Winnipeg), and the Mountain View Connection Recital Series (Calgary). On two occasions, he was baritone soloist with the Canadian choir Consort Caritatis on tour in southeast Europe. On the operatic stage, he has performed roles with Saskatoon Opera, Toronto Masque Theatre, and Opera Atelier, whose production of Lully’s Persée is available on commercial video. 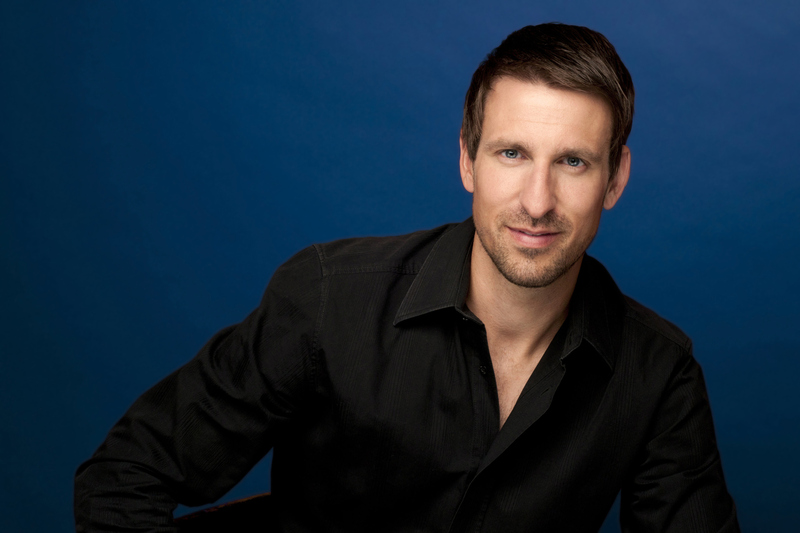 Since 2005, Jason Nedecky has been a member of the Canadian Opera Company chorus. He has performed numerous comprimario roles there, and regularly covers parts for the company, in addition to his work as a chorister. Nedecky has been involved in several recent baroque recording projects with the Aradia Ensemble on the Naxos label. He sings the role of Corrado in Vivaldi’s opera Griselda, and Ducat in Samuel Arnold’s opera Polly. He is also featured on discs of Handel’s Israel in Egypt, and of the theatre music of Purcell. In addition to performance, Jason Nedecky is increasingly sought after for his expertise in lyric diction. He coaches both voice students and professional singers in the pronunciation of English, German, Italian, and French texts. He has acted as a language coach at the Canadian Opera Company, the Luminato Festival, Société-Radio-Canada (for the overall winning entry of the 2012 International French Radio Competition), the Toronto Children’s Chorus, Opera NUOVA (Edmonton), and the Mountain View Summer Festival (Calgary). He is English diction specialist for The Diction Police website, offering advice for singers on pronunciation and accent shift in interviews and online phonetic readings. Jason Nedecky is one of the leading diction experts of our time, in several languages. He understands the complexities, details, and nuances of lyric diction, and can explain them in terms that are easy for singers to understand. Jason Nedecky teaches diction courses at the University of Toronto Faculty of Music, and is language coach for its Opera Division. At the Glenn Gould School of the Royal Conservatory of Music, Toronto, he teaches French diction and repertoire courses. 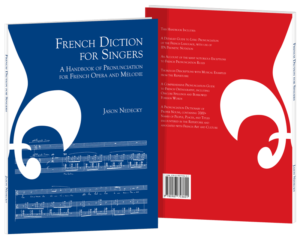 Nedecky is the author of French Diction for Singers: A Handbook of Pronunciation for French Opera and Mélodie — a comprehensive guide for English students of French lyric diction. The work is suitable both for individual readers, and for use classroom setting. A keen interest in French language and repertoire led to a recent extended stay in France. 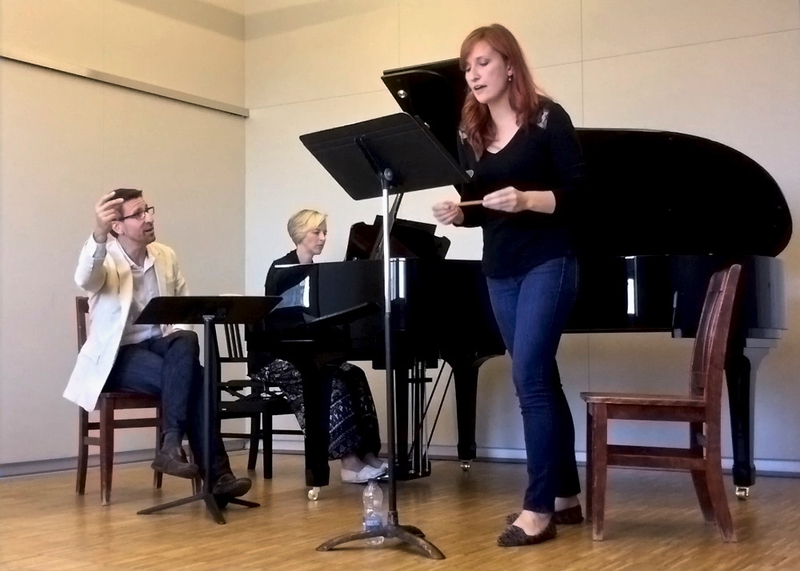 This afforded Nedecky the opportunity to coach with and observe the work of notable artists in the field of French vocal music, including baritone François Le Roux. He is a contributor to the upcoming second edition of Le Roux’s Le chant intime. Jason Nedecky is a passionate and extremely well-informed advocate of lyric diction. I’m happy to turn to him regularly while preparing French operas for his expert knowledge and collegiality. Nedecky studied at the University of Manitoba, and the University of Toronto. He subsequently trained at the Franz-Schubert-Institut (Baden bei Wien, Austria), the Britten-Pears Young Artist Programme (Aldeburgh, England), L’Académie Musicale de Villecroze (Provence, France), the Canadian Vocal Arts Insitute (Montreal), the National Arts Centre Summer Music Institute Young Artists Program (Ottawa), and the Banff Centre. He is a member of the Canadian Actors’ Equity Association, and the Alliance of Canadian Cinema, Television and Radio Artists (ACTRA).